This will be out 1st meeting. Lets kick it off with a bang. VMware will present a product update! Dell will sponsor the event! 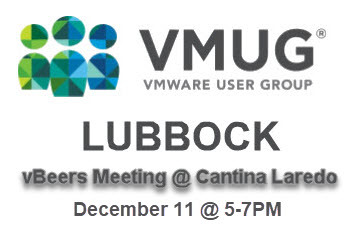 Come enjoy drinks, appetizers, meeting other VMUG members, and VMware information.